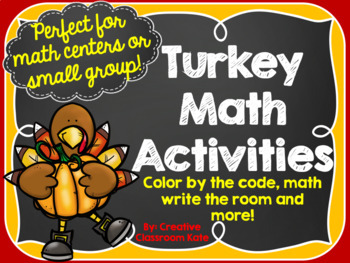 Looking for some great math activities to add some fun and engagement into your classroom this November? Then look no further this will be the perfect pack for your little turkeys! 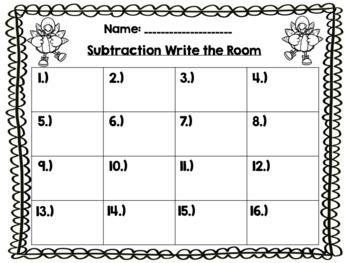 This pack features 4 great activities my students have loved and enjoyed covering addition and subtraction fluency and fact families. 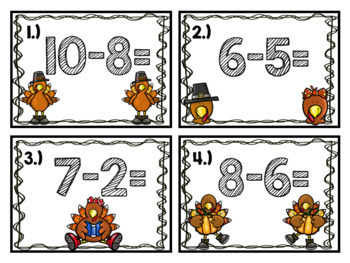 These activities are great to use for whole group, in math centers, with you in a small group or for fast early finishers. 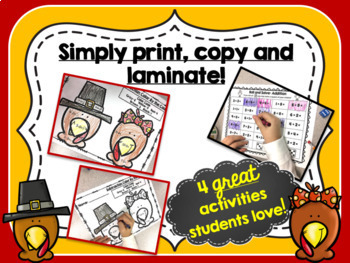 This pack is sure to bring some fun and great learning to your classroom this November!